A deeply relaxing soak for mums and mums-to-be! Every ingredient in our super-softening Bath Soak has been carefully selected for its safe yet soothing properties. A pampering blend of white water lily and mallow deeply moisturise while chamomile and arnica soothe tired and achy muscles and leave skin super supple. Natural rose extract helps calm and pamper your skin. Perfect for those pregnancy aches and pains and marvellously healing once you've given birth - an absolute must for every Mummy and Mum-to-be! A big hit with discerning mums! Soaking for ten minutes or more in Bath Soak will leave your skin softer than ever thanks to a moisturising blend of mallow and white water lily. To double the benefit, apply Boo Boo Body Smoother while skin is slightly damp. Thanks to arnica and chamomile extracts, itchy, achy tummies and limbs will feel immediately relieved after soaking. 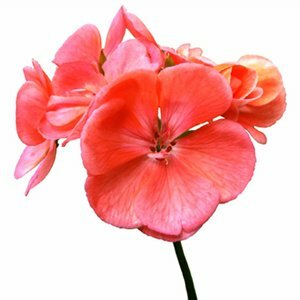 Rose geranium is well known for it's calming, relaxing properties so close the door, light a couple of candles and... relax. You deserve it! A perennial herb known for its healing and anti-inflammatory properties. It helps to regenerate the tissue and can help relieve fatigue and skin irritations. Helps relieve stress and anxiety as well keeping skin supple and soothing. Has a relaxing and calming aroma. 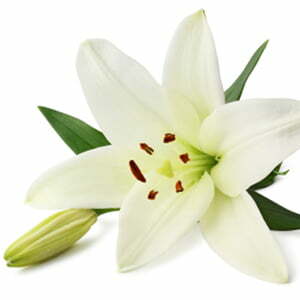 A symbol, since the dawn of time of freshness, purity, beauty, tranquility and calm. The extract has exceptional properties with regards to skin protection and moisturisation and is a soothing active ingredient for sensitive or sun damaged skin. Aqua, sodium lauroyl sarcosinate, sodium cocoamphoacetate, cocamidopropyl betaine, lauryl glucoside, stearyl citrate, glycerine, xanthan gum, pelargonium graveolens (rose geranium) oil, arnica montana extract, anthemis nobilis (chamomile) flower water, malva sylvestris (mallow) extract, nymphaea alba (water lily) extract, sodium hydroxymethyl glycinate, citric acid, citronellol, geraniol, linalool. I was really nervous about getting into the bath after labour as I'd had a bad tear, but this was so gentle and very relaxing - just what I needed. Thank you Love Boo! Most amazing bath soak ever! Got this as a sample and only used a tiny bit in a big bath. Left my skin feeling amazingly soft for days on end and I managed to get some really awesome bubbles that lasted for nearly and hour-far longer than run of the mill supermarket versions. Will definitely buy when my samples run out! !